Cantilever Bracket CB240 is an economic, durable and easy to use system that provides a safe and versatile solution to climbing vertical shuttering support and protected working area that is ideal for high structures with successive lifts. 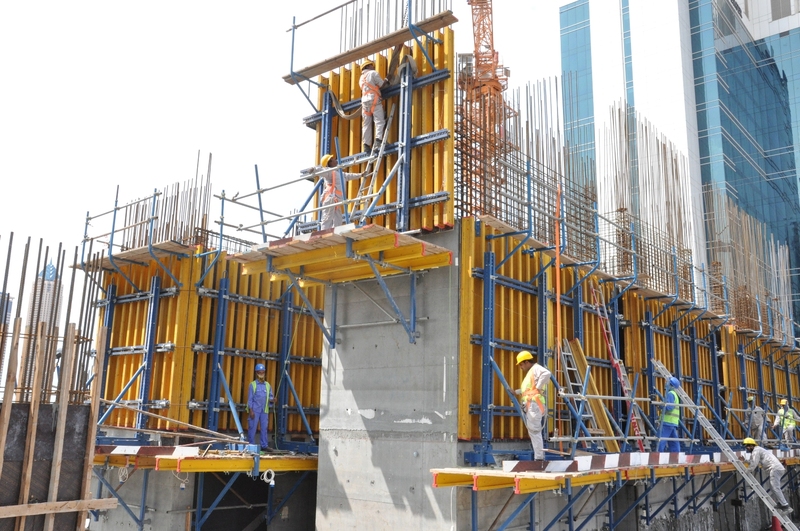 Due to its high level of flexibility and adaptability, the CB 240 system can be used in almost any situation where a vertical formwork or edge protection system is required. It can be used in conjunction with a self-climbing system or anchored directly to the existing structure. 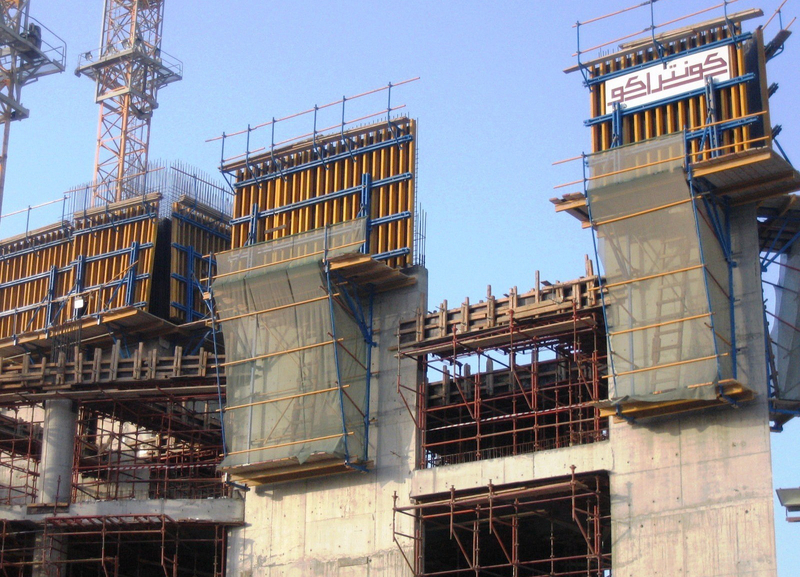 It is compatible with a wide variety of different formwork shuttering systems and can also be used as a standalone external climbing edge protection system. The system has a high load capacity of 50kn per bracket and up to 6m shuttering capability, providing a safe working area during all stages of operation. The main platform has a large 2.4m wide working area and allows for shutter retraction of up to 75cm from the concrete surface. The Cantilever Bracket CB240 can be easily erected, adjusted and struck without the use of crane and can be shifted vertically individually or as a joint system comprised of multiple units. With its capability of variable angle, the degree of incline can easily be adjusted and/or fixed to whatever the structural requirements are. The system is optimal for multiple swift work-cycles, with its low maintenance and reduced manpower required for shuttering and de-shuttering, the simplified erection procedure greatly reduces the possibility of human error and subsequently increases structural accuracy and safety. The succeeding instructions for assembly and application have to be carefully read as it contains detailed information regarding the proper application and handling of the BaiLi Cantilever Bracket CB240 System. All instructions concerning technical operation and function have to be observed carefully.